A native of Birmingham, Alabama, Andrew Douglas bought his first Moog synthesizer at age 20, having picked up his first musical instrument – a banjo – at the age of twelve. With a background in both rock and classical music, he formed the bass and keyboards trio Dreamwind (still nominally going after having lost their studio in 2009 due to the economic downturn), and at the ripe young age of 60 has released his first solo album. 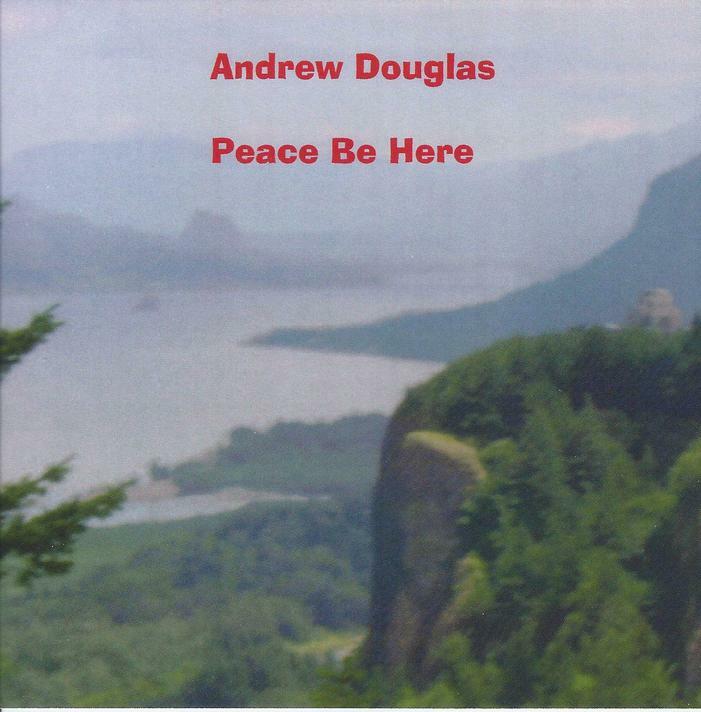 Peace Be Here has a rather poignant backstory: Andrew lost his 33 year old daughter to breast cancer in January 2011, and built a home recording studio later that year “to get out of my funk”. Indeed, the pure electronic music he has recorded for Peace Be With You breathes melancholy, loss, redemption and acceptance, its release giving others the opportunity to share this most personal of journeys. Using a range of Yamaha, Korg and Roland equipment, Andrew evokes moods of both outer and inner space. The album opens with a short piece entitled Around The Block, bright notes gently falling from a clear blue sky. Heartfelt pieces like Missing You Two reprise this tranquil mood. The music is the tradition of that golden period in the late ’70’s to mid ’80’s when artists such as Jean Michel Jarre, Tangerine Dream and Tim Blake painted their classic pictures of sound – TD’s Le Parc is perhaps the closest sonic touchstone for Peace Be Here. Some of the pieces use restrained electronic percussion, others simply drift through the airwaves. Canyon Snow, Indian Mesa and Cahaba (a ghost town in Alabama) draw inspiration from the landscape, while Why The Rain (reminiscent of DIN’s 2,000 Flashes), Our Last Trail and the touching Missing You Two speak of an inner journey to find peace. This is meditation music for the spirit, rather than the mind. Horizons are lifted above the terrestrial with the final three tracks Thoughts Of Space, Sirius Sunrise and Clouds Of Jupiter. It would seem that with the release of Peace Be Here, Andrew has been able to make peace with the universe after walking a dark path. This peaceful, beautiful collection of instrumental mood pieces gives listeners the opportunity to share what he has learned about life, loss and inner healing.